Post competition is for the time right after a meet. You can’t just blast away intensely for 10 years straight, the longer you are in this game and the more advanced you get you have to provide some time to back off the intensity, work on weak points, and just allow your body to recover. The General Strength Phase is what most lifters spend their time focusing on, you aren’t training for a specific competition but you are building up your strength on the main barbell exercises. Peaking is when you pick a competition that is 2-3 months out and then you try to peak your strength for that specific day. Even if you are not a powerlifter you can still get a lot out of looking at workouts in this fashion. Not every workout must revolve around the Big 3, and this is true of this workout program. Here is a program that is good for improving general fitness, mobility, conditioning, weak points, and promoting some mental recovery – by that I mean it gives a lifter a break from the Big 3. And that is the only hard and fast rule on this plan, you aren’t going to perform any of the competitive exercises (as you perform them on the platform) on this plan. Mobility: Pick something to do to work on your mobility weak points for 5-15 minutes. It might be DeFranco’s agile 8; my favorite upper/lower body warm-ups, or Bret C’s 6 ways to increase Athleticism . Do whatever you want but just do it regularly and get better at it. Core: I am not going to overkill the programming here. Select 1-3 core exercises you like and you believe are effective, start with a moderate intensity and then follow progressive overload. Add reps, weights, or other forms of progression whenever you can. Some of my favorite exercises are: ab wheel, incline knee ups (try unilateral), hanging leg raises (try unilateral), cable crunches, dragon flags, and challenging plank versions. Spend 5-15 minutes training the core. Conditioning: My favorite conditioning plan at the moment is to sprint the straights and walk the curves of a track (either outside or on a treadmill). Every week run just a little bit faster, do this for 3-4 laps (6-8 sprints). Don’t be afraid to be creative with this. Day 1: Superset all exercises (a & b). Push-up variation: Pick a push-up variation that is somewhat challenging to complete for the reps given. Common selections are the perfect push-ups, putting bands around your back, elevating your feet, using rings or blast straps, or adding a weighted vest. Don’t be afraid to combine methods. If you start off with a moderate weight you can often follow this plan for a long time but those extra 10 lbs add up. I think a lifter with strong legs should be able to double their squat weight on the leg press (eg if you can squat 400 you should be able to leg press 800 lbs). BGSS: Use a safety bar if you can, if not just use a regular bar or dumbbells. Focus on balance and form first before jacking up the weight. Sumo Deadlift: You are going to do a version of the deadlift that you don’t do in a competition, if you use conventional go sumo; if you go sumo go conventional. You can use the trap bar if you prefer instead. Start nice and light, 135×8, 185×8, 225×8 is fine for most lifters and then add 10-30 lbs a week. Prowler – Don’t overthink this one, use the prowler for several (3-10) trips that leave you huffing and puffing. If you don’t have a prowler try reverse Tabata sprints on a bike (sprint for 10 sec hard, go easy for 20 sec; repeat for 8 total rounds). 1 arm DB Clean and Press: You don’t have to be super technical here. The DB starts on the floor, pick it up and clean it to your shoulders, and then press it. You can either press it reasonably strict if it is easy, or if you want to push press that is okay to. This gives a nice conditioning effect, start with your weak side (that applies to all unilateral exercises). DB Leaning Lateral Raise – Hold on to something sturdy, lean away, perform a lateral raise. Just come up to a 90 degree angle, noticeably easier, go heavier than normal. Unilateral lateral raise and rear delt machine – perform these with 1 arm, all reps for 1 set with one arm and then switch, helps maintain muscle balance. Tim’s Curls: Perform a regular palm’s up curl with a DB, then rest 0-30 seconds and go hammer style, same weight and same reps. Yes, these are named after me. Wrist Roller: You can use one the plans outlined here (insert link to wrist roller exercise), if you don’t have a wrist roller you can perform barbell wrist curls and/or grip work. If a range of reps is given, first work up to the top end of that range with a given weight. Then increase the weight a small amount (5-10 lbs normally), drop the bottom of the range of reps, and then work your way back up. 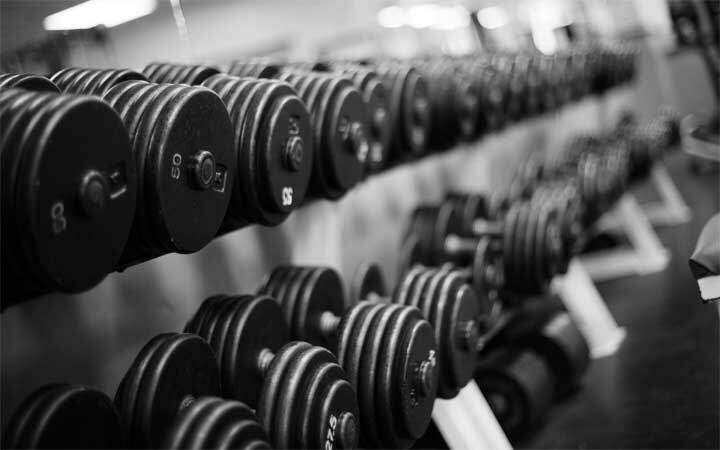 Straight sets means keep the same weight each work set; ascending sets means increase the weight each work set. If you want to add additional work you can include some classic cardio or conditioning style work on 1-2 days per week. Post competition cycles are generally followed for 1-3 months. The longer you follow them the more you tend to ‘recover’ which is good but you don’t want to lose your mojo with the classic barbell lifts. When you do return to those lifts don’t immediately go heavy, give yourself a few weeks or more to get acclimated to the big weight. You might just find that the time off did you some good and you are stronger and healthier in the long run because you included some recovery time during your lifting career. ← Should a Strength Coach be Strong?